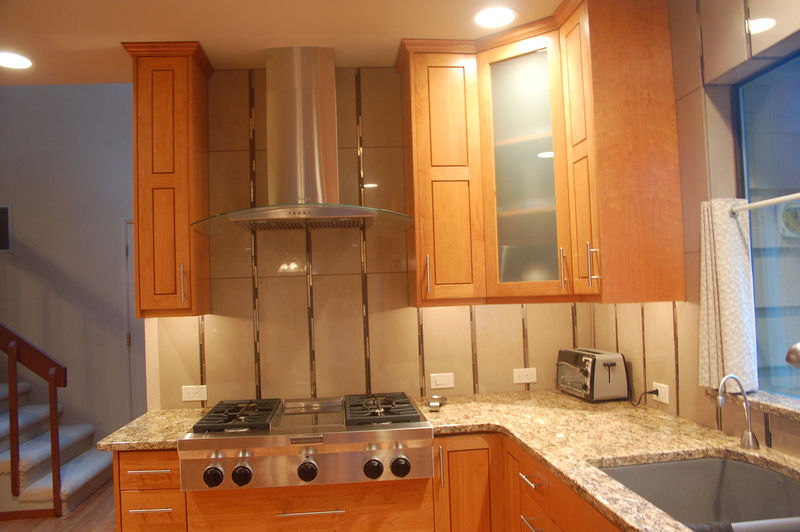 There are many reasons and benefits associated with a kitchen remodel. Whether your kitchen is falling apart, outdated, or your family is just in need of an upgrade, kitchen remodeling can bring new life to a previously inefficient and awkward part of any home. The kitchen can be the central activity hub of the home, with most of the entertaining and conversing going on in and around the kitchen. Custom kitchen cabinets completed this summer by Rose Construction Inc.
Cabinets usually take up the bulk of a kitchen remodel budget, so you want to make sure you are choosing the best cabinet option for your kitchen and budget. If the existing cabinets are of good quality, are in excellent working order and the layout functions well, the most affordable option is to re-stain or paint. Another option, is re-facing, which means to installing new veneer on the exterior of the cabinet box and replacing the doors and drawer fronts. Be forewarned, however, 60 to 70 percent of the cost of the cabinet is the door. So, if you are considering this option, you might want to just go all the way and replace the cabinets and drawers. OK, so you have decided to replace the cabinets. The next step is selecting custom cabinets or going with stock. 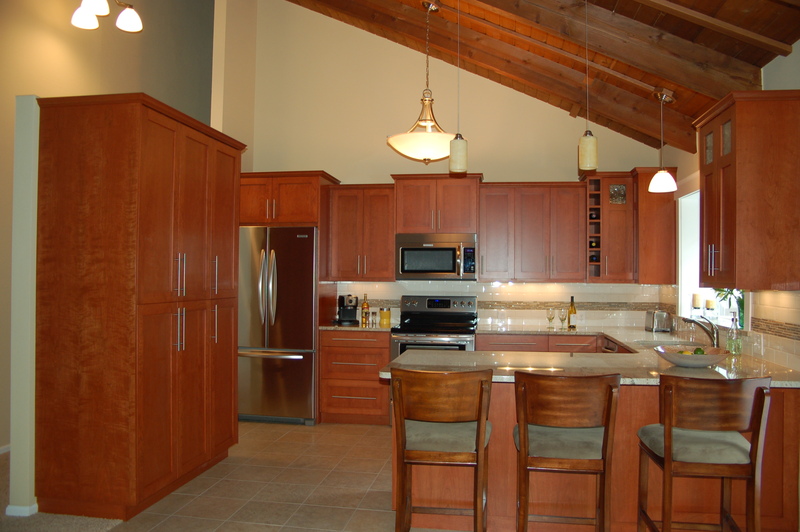 Going with custom cabinets gives unlimited material choices and layout (within your budget constraints and space). 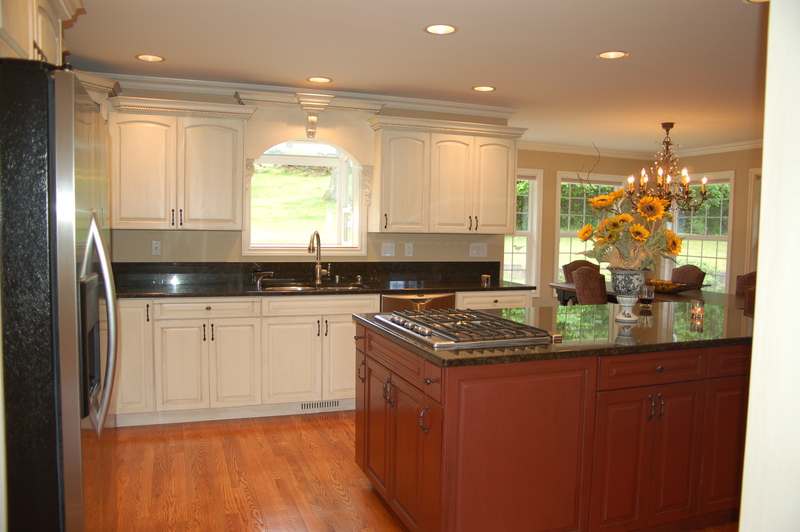 However, custom cabinets have the most lead time and is the most expensive option. 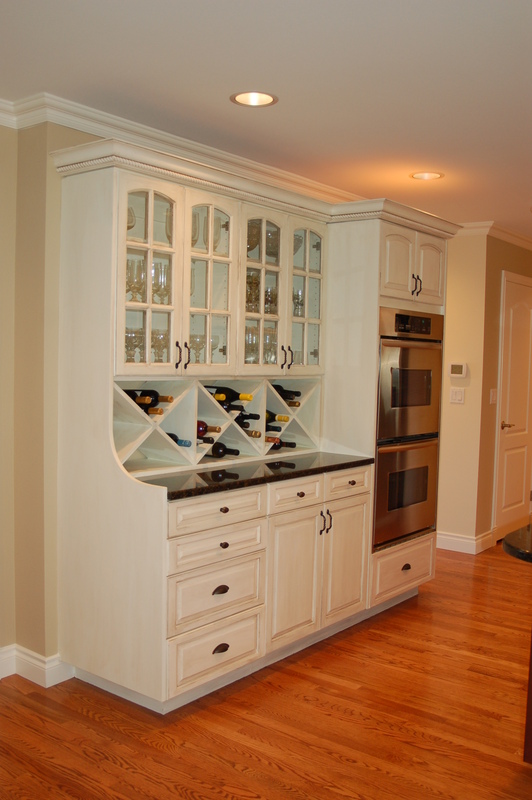 Semi-custom cabinets are made to the homeowner’s size requirements. The manufacturer produces them in predetermined increments. Often a spacer may be needed to conceal unused wall space, causing loss of some potential storage. Choice of materials, designs, finishes and accessories will not be as broad as with custom cabinets, but the cost will be less. Stock cabinets are the least expensive of new cabinet options. They are pre-made and come in standard sizes. You can find stock cabinets made of solid wood – so no need to immediately throw out this option! No matter what type of cabinet is selected, it’s important to evaluate the quality of hinges, doors, drawer systems and finish. 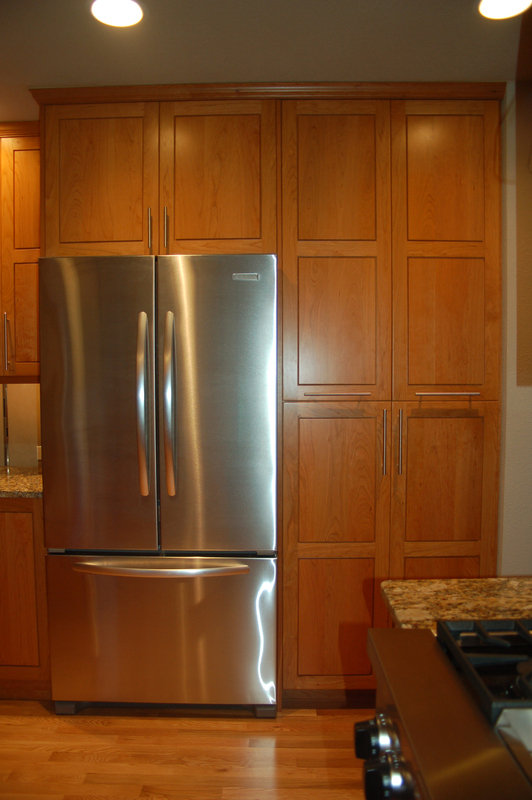 It’s a good rule of thumb to select cabinets that have at least a 5 year warranty. Next, think about the construction type and door style. Framed cabinets have a front frame around the cabinet opening to which the door is attached; this adds rigidity to the cabinet and they are easier to install than frameless. Frameless, or European-style cabinets, have no front frame. The door attaches directly to the side of the cabinet. Frameless cabinets are often used in contemporary kitchens; they offer an advantage over framed, there is open access to the cabinet interior. Door styles come in 3 basic styles: traditional-overlay doors that cover some of the frame, full-overlay doors that cover the entire cabinet frame, and inset doors that sit inside the cabinet frame. Now, I bet when you started this article you thought we would be discussing cabinet door styles, such as shaker, flat panel, raised panel, etc. We’ll leave that totally up to you! It helps to organize cabinets by type and cost, so as to fit them into the kitchen remodel budget and layout. Since they are the major cost and visual impact of the kitchen, they can drive the remodel process for the kitchen. Kitchen cabinets can be organized into 4 distinct types, site-built, stock, semi-custom and custom cabinets. Site-built are just what they sound like; built on-site by your contractor or carpenter. Site-built are usually linen cabinets and bathroom vanities, but can be done in the kitchen. Stock cabinets are the lowest cost option; they are mass-produced in standard sizes and with a limited variety of styles. The local hardware store may have two or more grades of stock cabinets, one built from the lowest cost materials with vinyl simulated wood finish, and a higher grade built from better materials with real wood finish. They will not last as long as better quality cabinets, have fewer features, and will be available only in stock sizes. Semi-custom cabinets will be available in several grades, ranging from good quality units with mid-range variety of options, up to high-quality models with a wide array of features and options. Semi-custom cabinets usually allow you to select from more styles, materials and construction quality; wood type, color and options. 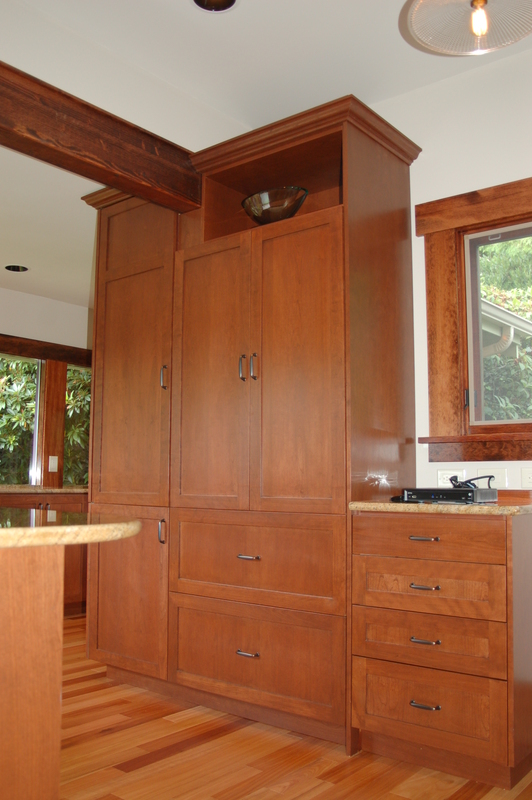 Custom cabinets are built to your exact specifications, including the wood species, color, features and sizes. Quality will be excellent. The cabinets will take longer to receive, as they are built individually by one or more crafts-persons. This will be the most expensive option, possibly costing up to $50,000. A set of cabinets for a typical kitchen can run $2,000 to $6,000 from kitchen remodel specialists and home-improvement centers and $10,000 to $25,000 at upscale design centers. Of course, there is installation costs after the purchase of the cabinets. Kitchen cabinets – what do most homeowners like? Kitchen and Bath Design News, in their “For Residential Pros” section answers this question. The author goes on to state that “door styles trend toward flat panels or clean, simple raised panels without heavy details or ornate moldings.” Shaker cabinet styles and variations on Shaker are the most popular cabinet doors. The article goes on to say that colors are trending toward lots of white, off-white, bieges and grays. There is a greater demand for wider, deeper drawers for storage and locating “gadgets” off the countertops. Clients want efficient, streamlined and beautiful kitchens. “Aging in place” is a factor for many. Kitchens must be accessible for all members of the multi-generational household. 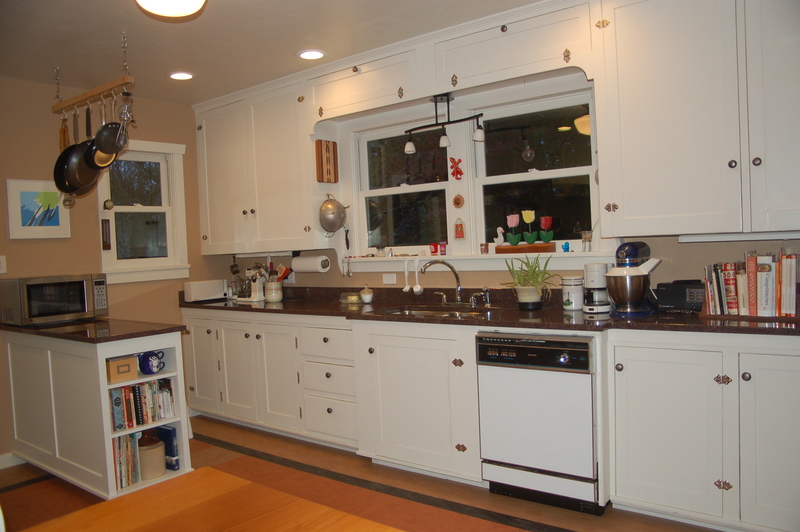 So that summarizes what others are looking for in kitchen cabinets and design. What about you? What do you look for in the ideal kitchen? Recently installed by Rose Construction Inc. Kitchen cabinets come in a variety of materials – everything from inexpensive composite wood products to stainless steel, glass front, bamboo, and a variety of hardwoods. This article will focus mostly on hardwoods, and much of the information is taken from the website cabinetexpress. Check them out for more info! Maple contains grain patterns that are particularly attractive, increasing the value of this wood. When stained, the mineral grains that cause the patterns will appear darker and more distinct. Maple is one of the harder woods; the toughness and beauty of maple cabinets combine to create a great material for kitchen cabinets and is the most popular. Cherry wood has inherently rich tones and colors, setting it apart from other types of wood. The grain pattern in cherry wood is very tight, allowing for smooth finishes and quality stains. 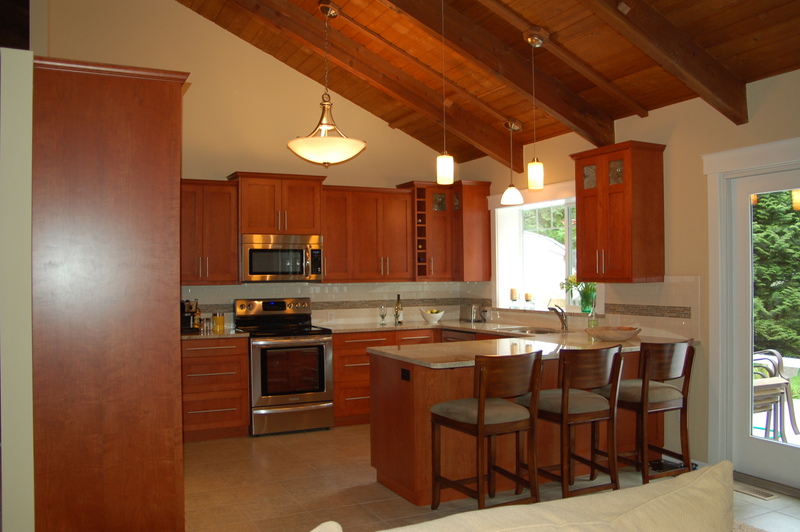 Cherry wood cabinets is frequently chosen simply for its beauty. Oak has the most distinct graining pattern. It can be stained and can appear striped or wavy, very fine or broad. It is an abundant wood and very durable. Because it so abundant, it is one of the least expensive of the hardwoods. 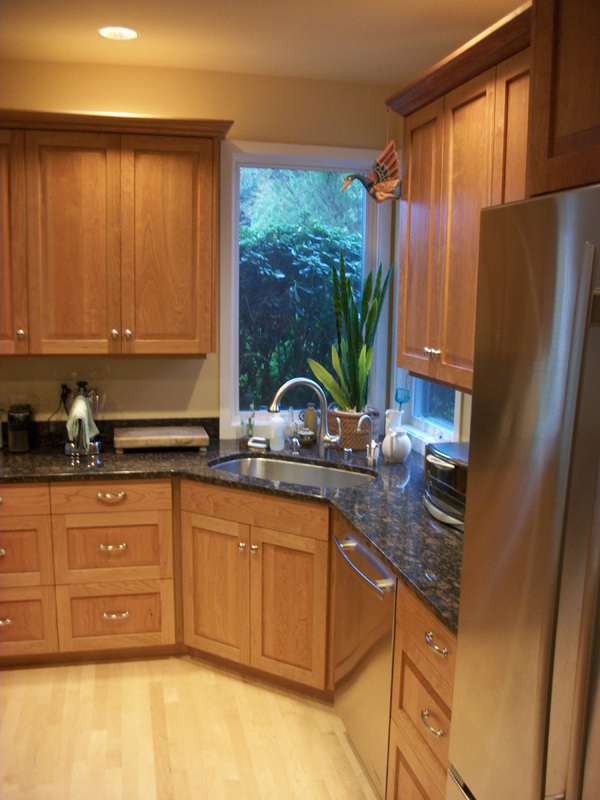 Oak cabinets are able to withstand rough treatment and will resist dents and scratches better than other wood cabinets. Hickory has a distinct grain pattern, with a flowing, sweeping pattern. Smooth and easy to stain, it is a solid, close-grained wood, with a unique pattern of grain. Birch, like cherry, stains extremely well and is smooth to the touch. The grain patterns in birch wood have subtle waves and flows, providing a warm and cozy appearance in the kitchen. Thermofoil cabinets are made from PVC vinyl film. They come in a variety of colors, but white is the most common. They tend to be found in a more modern style kitchen, but can also fit nicely into a traditional setting. Well, you get the idea. Check them out, there are lots of articles with suggestions for you to consider before making the leap and hiring a contractor. 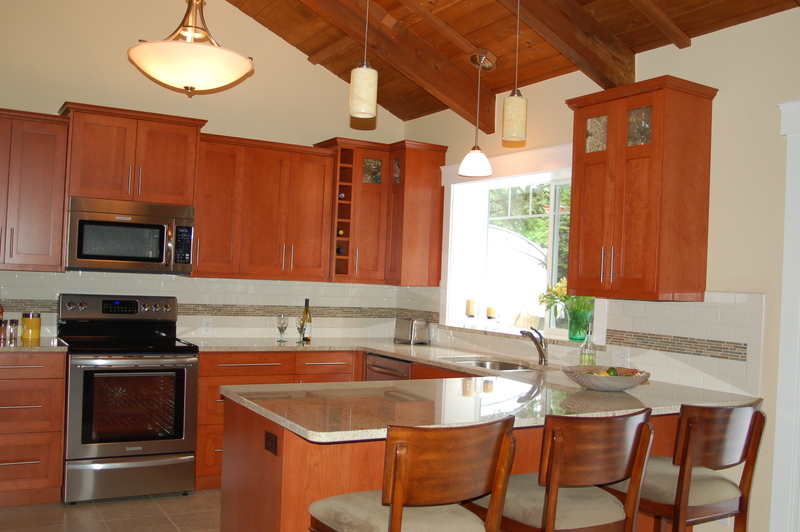 Here are a few photos of a kitchen we remodeled recently, with custom cherry cabinets and solid surface countertops. So check out the article and narrow down your priorities for your home remodel – and get started!